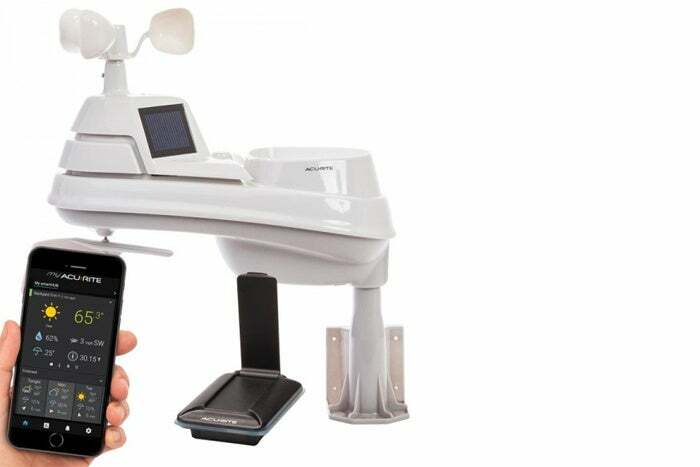 Many weather enthusiasts have a low opinion of AcuRite weather stations, but this likely stems from the company’s strategy of appealing to the broadest demographic possible by hawking its weather stations at big-box stores like Walmart The Home Depot, stores, where you can snag one for less than $100. But you get what you pay for with those budget models. The company is changing its strategy. AcuRite wants to target the more tech- and weather-savvy consumer with its new My AcuRite platform. Rather than go one size fits all, you need only the SmartHub to get started, and you can make your setup as simple or complex as you’d like. 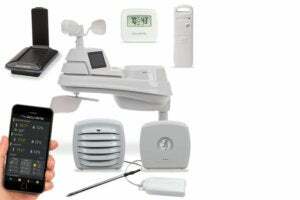 There’s a variety of sensors, from temperature to soil moisture and water leak detection, as well as your traditional all-in-one weather station unit. This makes it one of the most versatile platforms I’ve tested so far, even if at the moment its compatibility in the smart home is quite limited. It’s not entirely perfect. A quirky setup and installation process left me frustrated at times, and some measurements weren’t as accurate as I’d like. 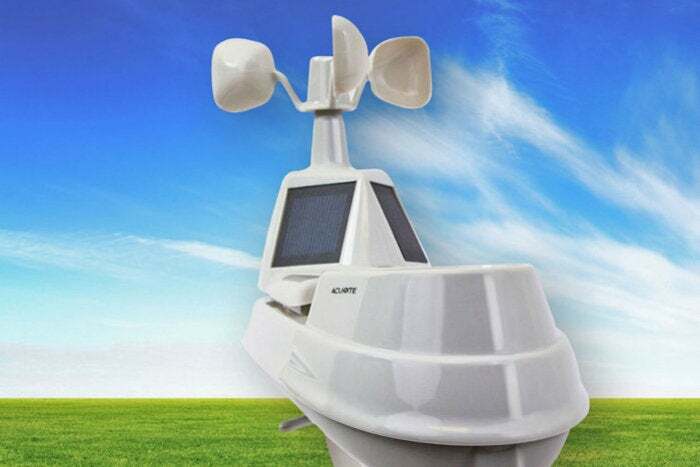 But past these issues, AcuRite is positioning itself as a worthy competitor to the big names in personal weather stations, and surpassing them by a surprising margin in some ways. A few of the many sesnors available for the My AcuRite system. Before I get into the meat of the review, My AcuRite’s modular nature requires a bit of explanation as to which sensors are available. 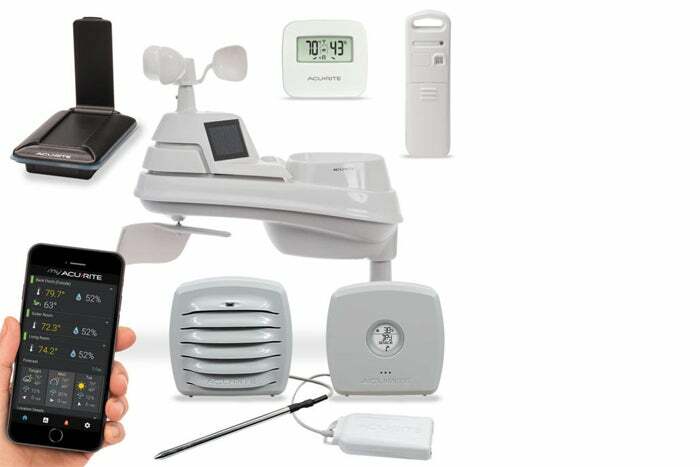 The $180 base setup includes the 5-in-1 weather sensor and the SmartHub, but you can also find setups without the 5-in-1 sensor for as little as $120 if you’re only looking to monitor certain types of weather. From there, you can choose a variety of sensors based on your needs. AcuRite does offer package deals at a discount, so while I've listed the prices for individual sensors here, you might be able to get them cheaper as part of a package. Regardless, AcuRite’s sensors are the most reasonably priced of any of the stations I’ve tried, even when purchased individually. I love that the water sensor has the capability to connect other sensors to it. 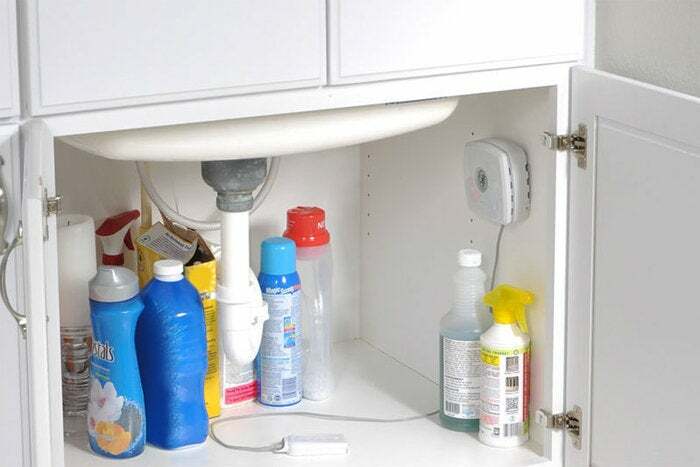 If you have a leaky basement, like my home does, you can daisy-chain sensors to place one just about everywhere where that a leak might occur. And each sensor can have a custom name, so you’ll know exactly where the leak is. 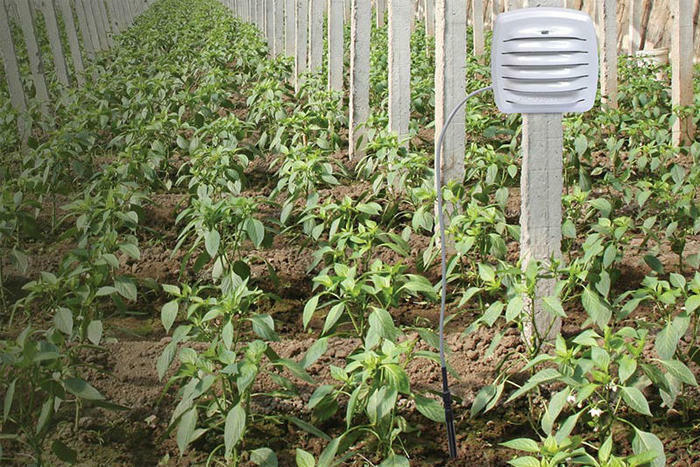 You can daisy-chain AcuRite's water sensors to monitor leaks in multiple locations. The installation and setup process is MyAcuRite’s biggest shortcoming, and it put a damper on what was otherwise a great experience with the platform. The problems started with trying to get the SmartHub to register with the AcuRite servers. The directions tell you to plug the Smart Hub in, connect it to your router, and then wait about a minute before proceeding to set it up through either the My AcuRite app or the website. There’s one problem with those directions: that’s not how it works. After several failed attempts, I realized that at least one sensor needs to be connected to the Smart Hub and reporting before you can connect the Smart Hub itself to the service. I found that odd and something that the average consumer wouldn’t think to try. Why the directions don’t clearly mention this is surprising, but it sure would prevent a lot of support calls and emails if it did. 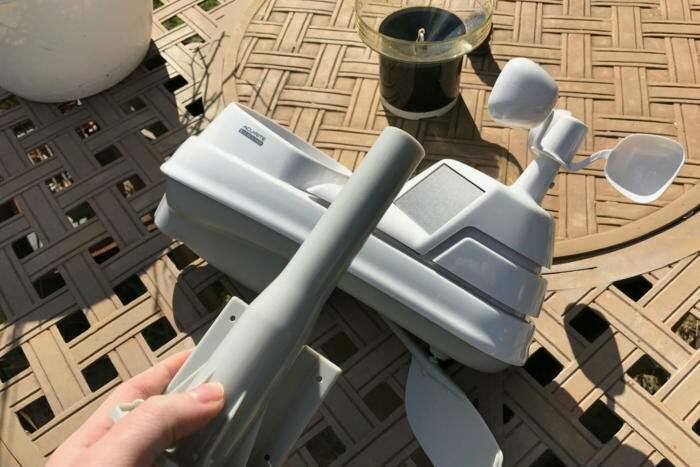 Once I figured out how to properly register the hub, every other sensor connected without a hitch, faster than any of the other personal weather stations I’ve tested. Installation was also a problem area, specifically with the included mast mount for the 5-in-1 weather sensor. Screws are provided to attach the sensor to the mast mount, but you’ll need to drill the holes. This should have been done at the factory. Some parts of installation just didn't make sense, such as the absence of screw holes on the mast mount for the 5-in-1 weather sensor. You'll need to drill them yourself. For the most accurate weather readings, follow our placement suggestions in the buyers’ guide and you shouldn’t have any problems. 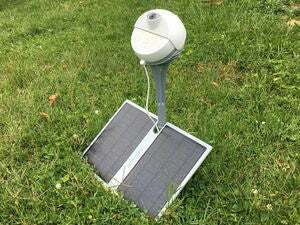 Looking past the initial setup problems, the My AcuRite system performed admirably compared to higher-end personal weather stations. I'm not a big fan of the all-in-one instrument concept, but you can add a separate sensor if one element of the 5-in-1 unit fails. Placement of the solar panels is a plus, as one faces southeast and a second that faces southwest. This will provide more power over a longer period than some competing systems that have just one south-facing panel. And while I was initially concerned about the durability of the 5-in-1 sensor's plastic housing, its holding up well after six months of exposure to the elements. All sensors worked as expected, and were within a reasonable range the nearby National Weather Station I used as a reference point. Temperature and humidity readings from the 5-in-1 sensor were acceptable, although prone to high readings while in direct sunlight. I suspect this has to do with how the sensor is placed combined with the absence of good ventilation and radiation shielding. AcuRite’s anemometer (wind gauge) performed very well, especially in light winds. Rainfall measurements were also accurate. The 5-in-1 sensor in the review unit I received came with two solar panels. AcuRite says its barometer will automatically adjust based on your elevation, but the readings I saw were typically two-tenths of an inch higher than the actual pressure. You’ll need to use the manual setting to get an accurate reading (consult a nearby National Weather Station to figure out the right adjustment for the error). I also had the chance to test out the water sensor, which in my simulated leak tests detected water quickly, and the soil and water temperature sensor, which I used to evaluate ground temperatures. The latter is a must-have for gardeners, because soil temperatures are so important to that endeavor. You could also use this to keep track of the water temperature in your pool or hot tub. Although not included in this kit, gardeners might find the outdoor monitor with liquid and soil temperature sensor ($45) to be useful. Hands down, MyAcuRite’s app is the best of any of the stations I’ve tested. It gave me everything I needed and more. It sets the bar for what a weather station app should be. It’s visually appealing, and it’s the only personal weather station app I’ve tried that updates continuously as new readings come in. You can also set up email or push notifications for just about any variable you can think of—it’s a data junkie’s dream. The app produces great graphs, too, allowing you to toggle graphs on and off to your heart’s content. And if you have a tablet, you have to try this app out on that device. As good as it is on a smartphone, it’s even better on a tablet. Best of all? 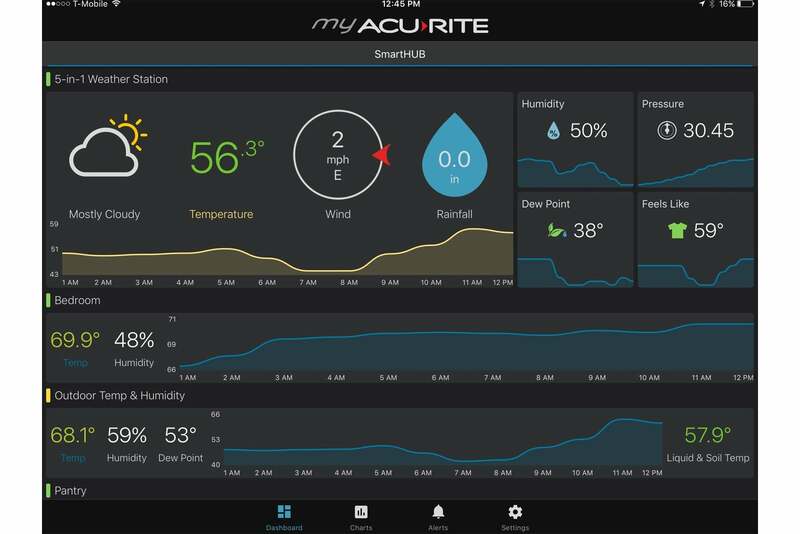 All these same features are available on AcuRite’s web-based portal which has a nearly identical interface to the tablet version, even down to sensor setup and management. The My AcuRite team told me they spent a great deal of time on this aspect of the product making it as user-friendly as possible, and it shows. The My AcuRite iPad app is best in class. While the app does yeoman’s work in delivering all your data to you in an easily digestible format, it doesn’t yet interface with any smart-home platform. The AcuRite team considered supporting IFTTT, but that platform can allow up to 15 minutes to elapse between a trigger event and the activation of an applet (formerly a ‘recipe’). If your home develops a leak, you need to know about it right away. Fifteen minutes could be the difference between a mop job and an expensive repair job—plus the damage to or total loss of anything affected by the water. AcuRite is not ruling out interfacing with smart-home platforms down the road, but it says it wants to do it in a way that benefits the end user most. If price is your end-all-be-all, then our recommendation is to go with the My AcuRite platform. No company is offering anything better in this price range, and My AcuRite is a step above the stations AcuRite offers at retail. If you’re looking for smart-home connectivity right out of the box, on the other hand, you should look at the Netatmo Weather Station. It could be months—or even longer—before AcuRite settles on how they’re going to make it play nice with your other smart home gadgets.